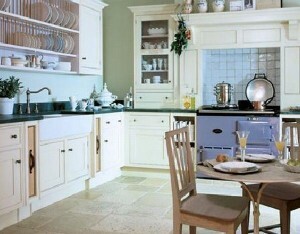 It’s something you don’t even realize, but the humble kitchen faucet is probably the most-used part of your kitchen. Just count: how many times you turn it on when you need fresh water. 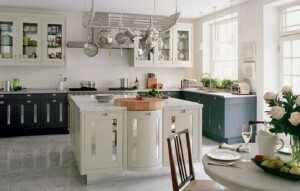 Choosing the right one is important not just for the look your kitchen but for quality and reliability too. 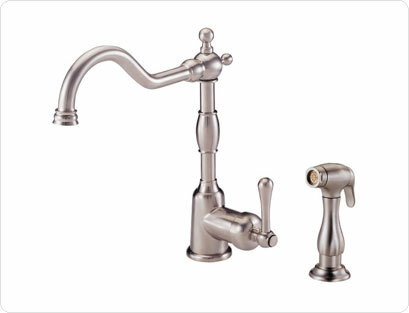 Faucets come in great variety regarding form and function: single- or two-handled, pull-out , pull-down or static, normal, arched or even the recently popular pot-filler faucet. Today I’d like to show a few ones from Danze, a well-known company for durable faucets, together with the kitchen styles they go well with. If you have a modern house or apartment, just take a look at the Danze Sirius: this gorgeous faucet line has a member for all your rooms (at least those in need of one…) The faucet spouts are easy to recognise from their rectangular shapes, bent into the elegant curves. The curves contrast beautifully against the sharp corners of the blocky bases, creating what can only be described as sublime achievements of engineering and design. 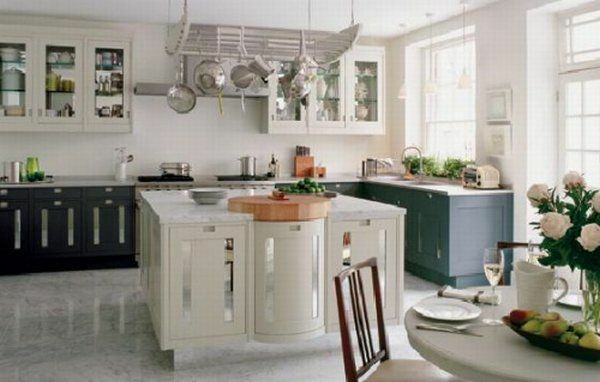 This Danze collection calls up an age with cast-iron tubs and wash basins. This classic series fit perfectly with the rich color of oil-rubbed bronze, copper or chrome. 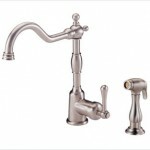 The feeling of antiquity drips from these Danze faucets, sending you to the charm and style of the Old World. 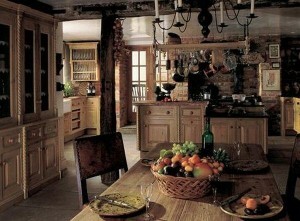 These faucets feel best at home in a very traditional, old-world kitchen. 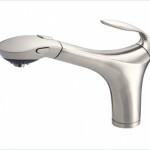 Like its counterparts in the bathroom, it the Corsair faucet features the soft contemporary, slightly feminine design with a gently curved handle and spout that draw their inspiration from windswept waves. 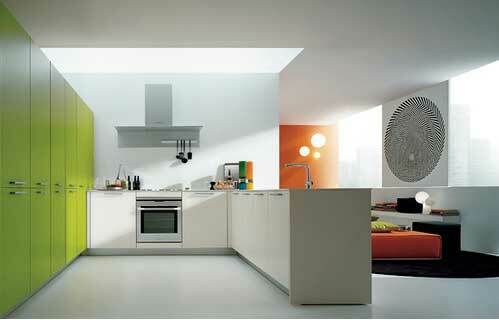 The 3-function pull-out spout is ergonomically designed to ensure ease of use. 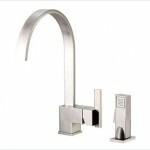 Available in Chrome and Stainless Steel finishes. 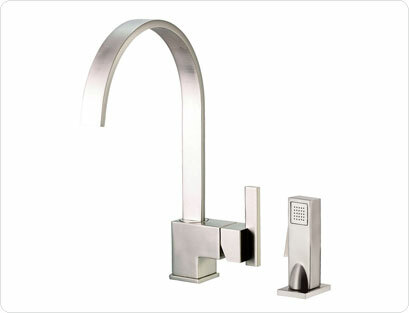 This faucet looks great in any modern or contemporary kitchen. 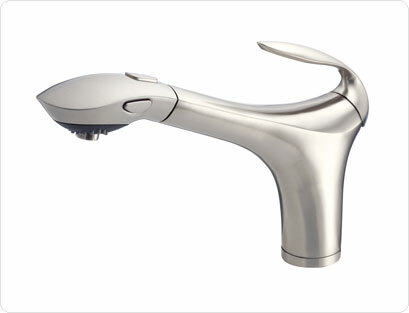 I’m always pleasantly surprised at the vast array of modern faucet designs. Some are simply wonderful.